There were houses – lodges – at some entrances, for the superintendent or ranger or whoever, of which few now exist; nearest to me in Tintern was the one at the wonderful entrance by the library. There were the big iron gates of course, which, as has been mentioned, would be locked at night. What an utterly pointless exercise: anyone wishing to access the park simply had to climb up a lamppost alongside the wall down at the bottom by the burn road or to the side of the bisecting lane up to Heaton Road, then hop over: piece of cake – I did it all the time. There were water fountains here and there: large bowls atop pedestals of zinc-iron, some with a chromed lever, some a white ceramic domed button stating Drinking Water, both with a curving spout of H2O that could be accurately jetted in anyone’s direction given the appropriate use of a thumb over the nozzle. There was a giant chessboard in the lawn alongside a little hut (for storing the pieces) that was in front of the electricity-board substation on the Heaton Park View south edge of the park. Between that and the Shaftsbury entrance there was yet another bowling green (how many bowling greens did we have?) a public toilet behind the bowler’s hut (Gentlemen, of course! ), and to the side was one of the aforementioned fountains. On the flat plateau in the middle of Heaton Park we had a ‘Witches Hat’ roundabout, a stainless-steel sheathed slide (we found it could be further improved by polishing it up with candle-wax), a set of Monkey Bars, and some excellent swings that went very high – high enough to break plenty bones if you came off; and yes: more than capable of putting a miserable dint in the skull of any dozy wazzack who got in the way! It was from this plateau that we would launch our sledges in snowy times – it was the steepest/longest bank in Heaton Park – and attempt to reach the bottom wall; assuming you didn’t hit a tree first. Down in the farthest corner of the park was/is a paddling pool that I never saw filled but my Father used to plodge about in as a child. In the south-east corner of the paved area fronting the pavilion was a small, white, wood-hut satellite of Gracco’s ice-cream parlour on Heaton Road; nougat-and-chocolate-wafer oysters seemed to be the order of the day down there. I’ll leave it at that, because the entire parade from the Vale culvet through to the South Gosforth wilderness was my jealously guarded, much patrolled empire, and it would take a month of Sundays to speak of all the attractions beyond St John’s Palace with its shady tennis court and [sadly] recently destroyed boulder-hill for serious climbing adventures; plus another bowling green and hut. Have you counted them all yet? Brilliant, Keith. John mentioned the witch’s hat and Gracco’s hut too. We’ve only used extracts of his comments here. I hope your vivid description will encourage him and others to add further memories. 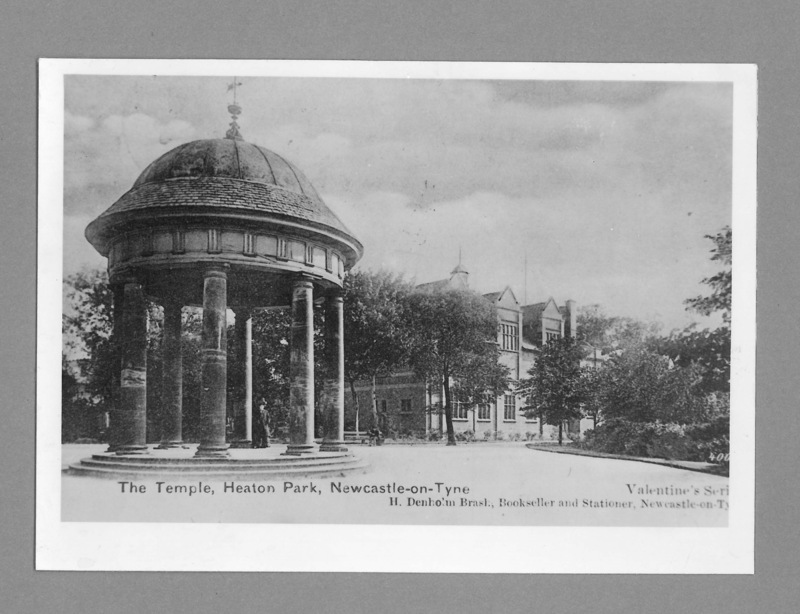 I almost lived in Heaton and Armstrong Parks. We frequently remained until closing time and even beyond – I recall one evening when we played football until it was dark and were chased by the park-keeper and had to climb over a wall to escape because the gates were locked (I was first over the wall). Another time we arrived home very late to find not only our families but most of the neighbours out looking for us – a few minutes later and the police would have been called. 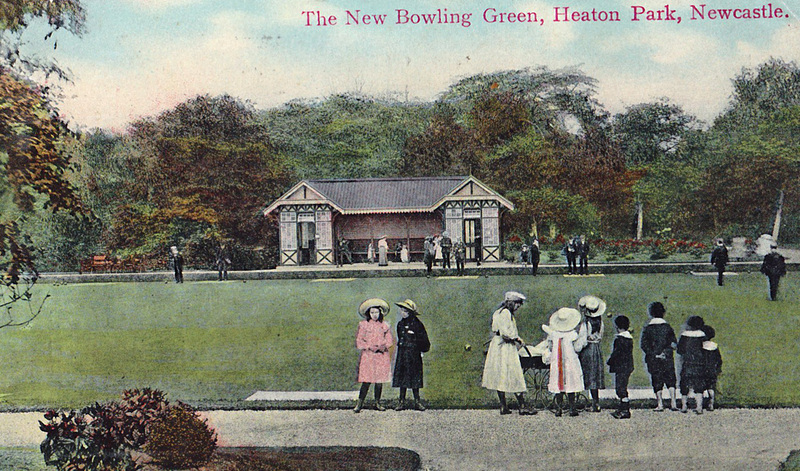 This resulted in a ban on playing in the park for a whole week and being sent early to bed every night, Despite our mischievousness one taboo was observed – the bowling greens were respected; the fences which surround them now were not needed at that time. However, I am told that at the age of three I ran away from home and was found sitting in the middle of a bowling green. 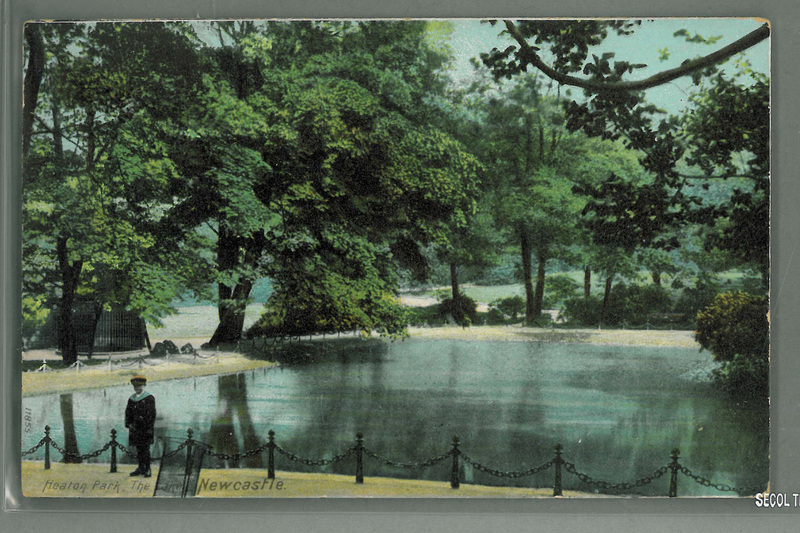 Tessa Green, Heaton History Group member, has reminded us of the following: The late Julia Darling’s Booker long-listed novel ‘The tax-driver’s daughter’ has sections based in the parks including the ‘shoe tree’. Julia of course lived in Heaton. There is a mention in the article of what became Heaton Park Road not yet having a name in 1879. We have just come across some interesting plans, also from 1879, for a proposed street layout and housing submitted by Addison Potter and his architect, FW Rich, on which this road is labelled ‘Shakespeare Road’. Other streets also had different proposed names. We’ll be researching and writing about this this further in a project we’re doing on Heaton’s links with Shakespeare and especially the streets which have the names of characters in his plays. We’d also love to hear from anyone who remembers or was involved in the brick Shakespeare being built in what we think was the 1980s. (If you’re interested in getting involved in the project, please email chris.jackson@heatonhistorygroup.org).